It will be Christmas party time for boaters of all ages on 14th December 2018. The Floaty Boat Fund is to be launched with a Christmas Party at 7pm-midnight at St Margaret’s Hall, Bradford on Avon BA15 1DE. CRT is currently attempting to re-brand itself as an organisation promoting well-being. The purpose of the re-branding is to raise funds from local authorities and the NHS for the promotion of health and well-being of the general population. However CRT appears to have no intention of safeguarding the well-being of boat dwellers, even vulnerable ones. 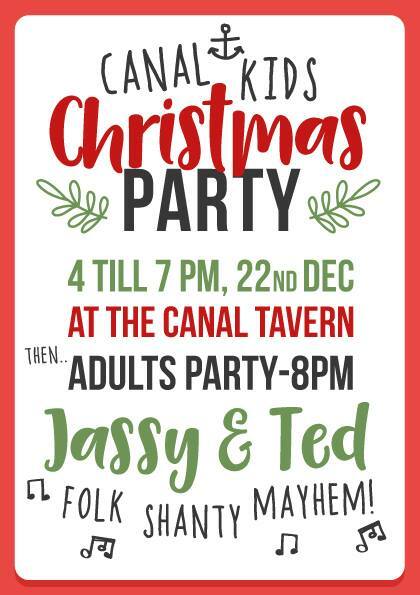 There will be a Christmas party for boaters’ children at the Canal Tavern, Bradford on Avon, on Friday 22nd December 2017 at 4pm to 7pm, followed by an adults’ party at 8pm with music from folk shanty artists Jassy and Ted. A group of fourteen boaters from the K&A joined the national Boats Are Homes march on Saturday 8th April 2017. The demonstration was organised in protest against CRT’s unlawful enforcement policy against boaters without home moorings. Boat dwellers from all over the waterways took part. The march was organised by the National Bargee Travellers Association. On Thursday 15th September at 5pm, CRT Chief Richard Parry will launch a CRT publicity boat at Devizes Wharf SN10 1EB as part of the K&A Waterways Partnership AGM. 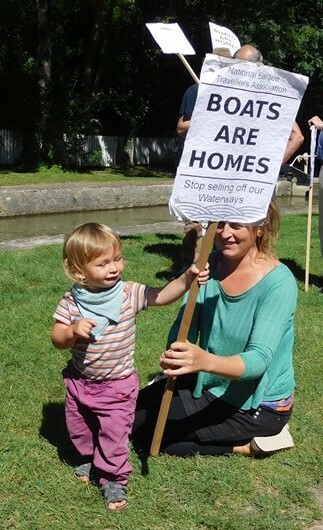 Around 30 boat dwellers without home moorings and supporters from the local community took part in a protest opposite Canal & River Trust’s (CRT) office in Devizes on 6th August 2016.